That’s one of my favorite sayings and I used it in my new release, Deadly Intent, as inspiration for my heroine Sophia. Back when Sophia was in college, her sister went missing—and Sophia blames herself because she wasn’t there for Angelique when her sister needed her most. Since then, Sophia has become an FBI agent and has never stopped looking for Angel. While Sophia is Bureau to her bones, she finally admits to the hero during the course of the story that the real reason she became a Fed was because she believed it gave her the best chance at finding Angelique some day. I was never close to my older sister—she and I were twenty years apart in age and she had two kids of her own by the time I was born. Growing up, I saw her maybe half a dozen times; she moved around a lot and didn’t visit. We were more like distant cousins than sisters. Throughout my life, however, I’ve built a unique relationship with many women I call sister. They are friends but so much more. I can laugh with them, cry with them, and ask their advice about anything. Some have known me since I was in elementary school; others since my early days of writing. A few have come along in recent years. They have my back, and I have theirs. When preparing to write this article, I searched for ways all of my sister-friends are alike, looking for that common denominator that clicks with me. I couldn’t find one. Some of my friends are older, some the same age, and others younger than I am. Some are mothers, a few are not. Some are authors and share my career aspirations, but there is also a teacher, a retired marketing guru, a couple gals in the medical field, a librarian, and a musician. My sisters come from all walks of life and run the gamut of race, religion, and political preference. Some are addicted to coffee, others to tea. We can’t even agree on milk or dark chocolate. One of my dearest friends doesn’t even like chocolate. How is that possible? So what is it that brings us together and makes us love each other like we share the same blood and gene pool? Is it our outlook on life? Were we sisters in a previous life? Are our cells vibrating at the same frequency? Possibly all of this and more. Perhaps there is some undefinable essence in each of us that makes us bond over anything from our favorite actor to the latest political or social upheaval. Whatever it is, I keep a secret stash of bail money in case one of them needs it, and I have a shovel for burying dead bodies just in case. My sister-friends ARE my sisters. They will braid my hair, poke fun of my enemies, and pour me a glass of wine when I’ve had a bad day. They laugh at my lame jokes and share my successes with true pride. Like Sophia in DEADLY INTENT, I can’t do without them. They are a part of me…they are my wings. USA TODAY Bestselling Author Misty Evans has published thirty novels and writes romantic suspense, urban fantasy, and paranormal romance. As a writing coach, she helps other authors bring their books – and their dreams of being published – to life. The books in her Super Agent series have won a CataNetwork Reviewers’ Choice Award, CAPA nominations, the New England Reader’s Choice Bean Pot Award for Best Romantic Suspense in 2010 and the ACRA Heart of Excellence Reader’s Choice Award for Best Romantic Suspense in 2011. OPERATION SHEBA has been a military romance, action-adventure, and romantic suspense bestseller on Amazon. Her culinary romantic mystery, THE SECRET INGREDIENT, and the first book in her Deadly series, DEADLY PURSUIT, are both USA TODAY bestsellers. 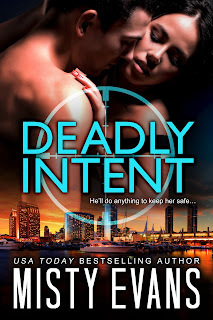 Want to know more about DEADLY INTENT? 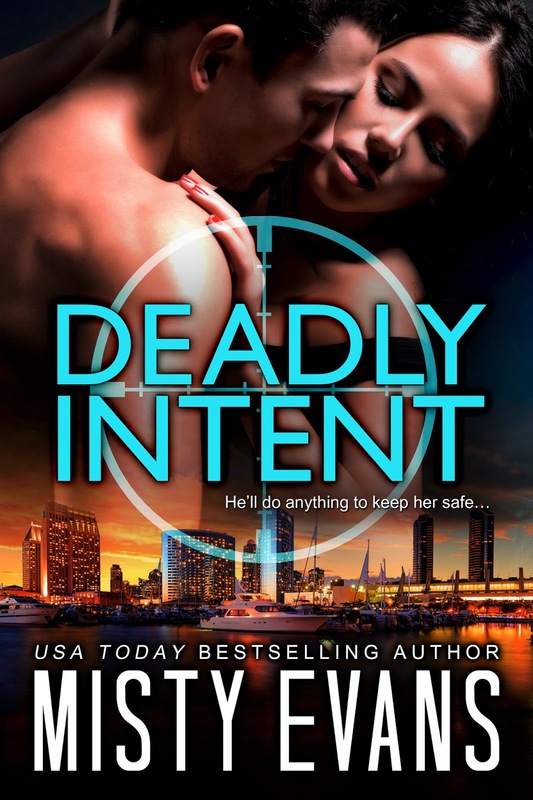 If you love thrillers, don’t miss this action-packed read with the fourth novel in the SCVC Taskforce Romantic Suspense Series by USA TODAY bestselling author Misty Evans! ***A portion of the proceeds from sales of Deadly Intent will be donated to MIRA USA which provides guide dogs free of charge to blind children and youth between the ages of 11-17, and to 4 Paws For Ability whose mission is to enrich the lives of children with disabilities by the training and placement of service dogs to provide increased independence for the children. They place dogs with youth and veterans and assist with animal rescue when possible. Thanks for sharing this post - I love Misty's writing! I loved this post about sisters. I can't wait to read this story!